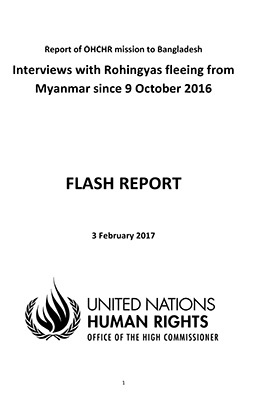 Home › Publication › Ensuring the Safety of Rohingyas as a National Minority Inside Myanmar: Who? How? “It is an ongoing genocide (in Myanmar),” said Mr. Marzuki Darusman, the head of the UN Human Rights Council-mandated Independent International Fact-Finding Mission at the official briefing at the full Security Council on October 24, 2018. This official briefing was officially requested by 9 out of the 15 Council members over the objection of China, Russia, Equatorial Guinea and Bolivia). On the same day, before the Security Council briefing, Darusman, former Attorney General of Indonesia who headed his country’s National Human Rights Commission and served as UN Special Rapporteur on human rights in North Korea, had held a press conference in New York where he was joined by Professor Yanghee Lee of South Korea, UN Special Rapporteur on human rights situation in Myanmar. Echoing the UN Fact-Finding Mission Chief’s concerns for Rohingyas’ safety arising out of the continuing existence of structures, institutions, practices and executioners of Myanmar’s genocidal policies, Professor Lee officially opposed the scheme of repatriation of one million Rohingyas who have taken refuge across the borders on Bangladeshi soil. To her credit, Prime Minister Sheik Hasina has highlighted the essential need of the Rohingya, most specifically the group’s safety, upon return to their places of origin inside Myanmar. In her proposals to the UN in 2017 and 2018, the PM even raised, officially, the issue of establishing “safe zone” for the Rohingyas inside Myanmar — and rightly so. The overwhelming majority of the UN member states — save India, Japan, Russia and China — have been vocal in condemning Myanmar’s “gravest crimes in international criminal and humanitarian law,” as the UN Fact Finding Mission on Myanmar put it. But the public condemnations have not been matched by an equal amount of tangible support for the one million Rohingya genocide survivors in Bangladesh in terms of humanitarian funds, human resources (e.g., trauma counsellors, social workers, etc. ), or livelihoods opportunities. Less than half of the need for humanitarian aid has been met.Consequently, Dhaka feels enormous pressure to feed and house, however unsatisfactorily, such a large pool of refugees. Dr. Jeff Crisp, former head of Policy Development and Evaluation at UNHCR, shares his first-hand knowledge of ‘the shameful history of Rohingya repatriation since 1978. 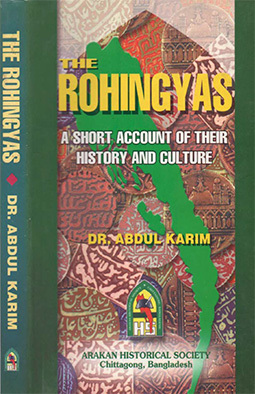 See “We must not repeat the shameful history of returning Rohingya refugees,” Refugee Studies Centre, Oxford University, January 17, 2018, https://www.rsc.ox.ac.uk/news/we-must-not-repeat-the-shameful-history-o…“ style=”color:#0563c1; text-decoration:underline. 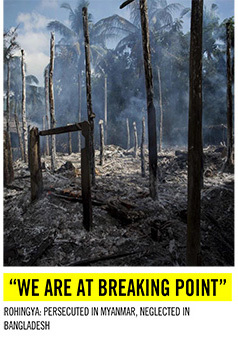 See Natalie Brinham, “Breaking the cycle of expulsion, forced repatriation, and exploitation for Rohingya,” Open Democracy, September 26, 2017, https://www.opendemocracy.net/beyondslavery/natalie-brinham/breaking-cy…; and Maung Zarni and Natalie Brihnam, “Waves of Genocidal Terror against Rohingyas by Myanmar and the Resultant Exodus Since 1978,” Middle East Institute, http://www.mei.edu/publications/waves-genocidal-terror-against-rohingya…. “The Mong Wong, Burma’s newest citizens, face backlash,” ReliefWeb, May 6, 2016, https://reliefweb.int/report/myanmar/mong-wong-burma-s-newest-citizens-…“ style=”color:#0563c1; text-decoration:underline. Tagged with: Ensuring the Safety of Rohingyas as a National Minority Inside Myanmar: Who? How?